The Wall Street Journal publishes Monsanto’s claim that the World Health Organization has given GMOs a clean bill of health. But, is this true? Most GMOs have been modified to withstand pesticides, especially glyphosate-based Roundup. All corn, soy, cotton and many other crops are treated with glyphosate up to three times in their growth cycle. Is glyphosate a necessity for a healthy environment? It is a broad based plant toxin, and a patented antibiotic which means it is a killer of soil life. Where it has been used heavily, wildlife is declining. As such, glyphosate is anything but a ‘necessity’ for a healthy environment, which includes plants, animals and soil life. And looking downstream, it is deadly for marine invertebrates and on-and-on. Unlike Monsanto, could the Wall Street Journal possibly not know these things? ‘Reporting’ like this explains why only 6% of the American public trusts the media. Genetically modified crops, which have generated both controversy and widespread adoption, are hitting 20-year milestones. Perhaps the anniversary slipped your mind, but 1997 was a dark one for the European corn worm. That was the year Bt corn, the first to bear its own protection against the larvae of the rapacious corn worm, was commercially introduced. 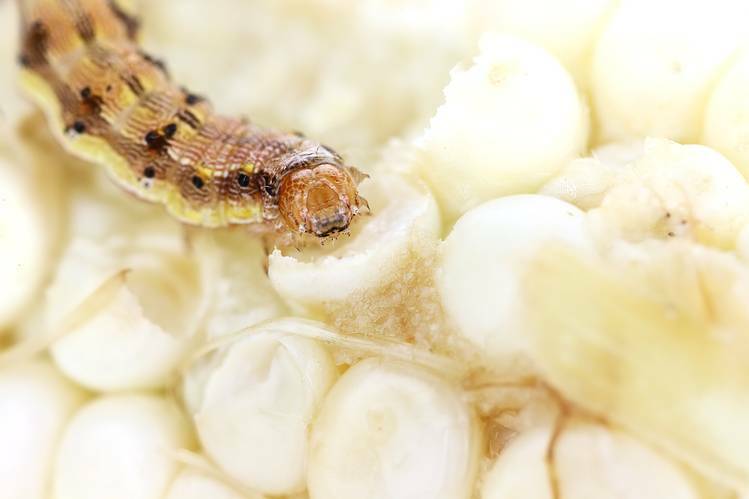 The European corn worm had long ago invaded the U.S. and by the mid-1990s was causing more than $1 billion in annual damage. But now no insecticide was needed, thank you, because Bt corn had been genetically modified to pack its own. It produced a protein toxic to the corn worm and some of its fellow travelers, while benign to most other insects. The first genetically modified row crops of any kind—herbicide-resistant soybeans and cotton protected against the bollworm and other pests—were introduced only in 1995. Twenty years on, these crops have proved their worth: Last year GMOs were planted on 444 million acres, an area larger than Alaska. That’s 12% of all global cropland. What have been the effects of this technology? In May a committee convened by the National Academies of Sciences, Engineering, and Medicine completed a two-year review, “Genetically Engineered Crops: Experiences and Prospects.” The committee, which examined about 900 studies, painted a highly positive picture. The academies’ report found “no differences that would implicate a higher risk to human health from eating GE foods than from eating their non-GE counterparts.” It also “found little evidence to connect GE crops and their associated technologies with adverse agronomic or environmental problems.” In some cases, the review said, “planting Bt crops has tended to result in higher insect biodiversity,” by reducing pesticide use. These conclusions could not have surprised anyone who follows the issue. They’re consistent with the findings of the American Association for the Advancement of Science, the American Medical Association, the World Health Organization and other highly respected groups. Thousands of independent researchers have consistently found that GMOs benefit not only farmers and the public, but also biodiversity, soil quality, water quality, carbon sequestration—in short, the environment. In 2014, for example, two German researchers at the University of Göttingen, Wilhelm Klumper and Matin Qaim, consolidated the findings of 147 studies dating to 1996. They found that GMOs increased crop yields by an average of 21% world-wide and reduced the use of pesticides by 37%. Farmers who adopted GMOs increased their profits by 69% on average, with the gains going disproportionately to the developing world. This year Peter Barfoot and Graham Brookes, two British researchers at PG Economics, an agricultural consulting firm, calculated the environmental benefit from not having to run tractors to spray pesticides on GMO crops. The effect in 2014, they wrote, was “equivalent to removing nearly 10 million cars from the roads.” That amounts to about 4% of the passenger vehicles in the U.S.
Then there are the benefits when high yields from GMOs curtail the conversion of forest or grassland to agriculture. To keep current production without the gains from GMO crops, more than 97,000 additional square miles—an area larger than Ohio and Indiana combined—would have to be cultivated globally. Instead the carbon in all that land, which would be released to the air during tilling, stayed in the dirt. Genetic modification will be extended to many more crops. It will be used to enhance the nutritional value of rice—such as with Golden Rice, which is fortified to provide vitamin A—as well as cassava, two major staples. Insect resistance will be conferred on more crops and widened to protect against more pests, reducing food waste and spoilage, especially in the developing world. The strides that GMO crops have already made against drought and heat stress will accelerate. Yields and yield stability will increase for plantation crops like palm, coffee, cocoa and trees for paper. Exciting gains are also on the horizon against plant diseases caused by fungi, bacteria and nematodes, the microscopic worms that feed on roots. One result will be bigger yields. Another will be less use of chemical fungicides. The fungus that now threatens bananas will be foiled as well. The rapidly growing global population and warming climate will make agricultural innovations a necessity, not a luxury. In my view, the next two decades will bring even more innovations than the past two. Mr. Fraley is executive vice president and chief technology officer of Monsanto.